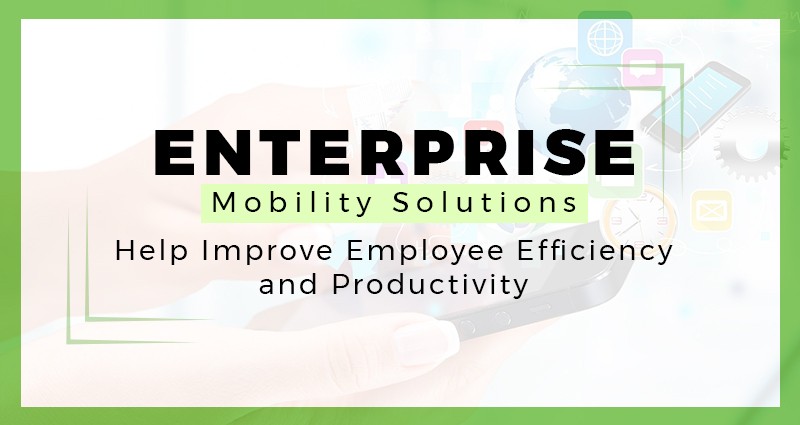 Businesses are able to improve their versatility and dynamism at a rapid pace today because of enterprise mobility solutions that allow their employees more options and flexibility in operations. Achieving efficiency at the workplace is what drives most workers as it is very closely connected to how they are able to add value to the contributions they make to their employers. With such mobility solutions, they are able to make presentations to clients across the table after accessing the data and presentation content on cloud through their mobile devices. The scope of such solutions covers not just the optimum utilization of mobile devices but also optimizing the mobility and efficiency of workers. The workers enjoying this kind of enterprise mobility services are delivering higher productivity in lesser time than before. Take the case of application developers with access to such mobility solutions – they no longer have to depend only the office desktop to work on the application. They can access it on their mobile devices or their laptops wherever they want to as long as they have access to the data. This gives them the option of working remotely before or after business hours and complete the job well before the deadline. Providing remote access to a worker depends on the employer’s perception of risks for the specific application or the project under which it is being developed. Although many of the process functions in many companies take place without any specific permission of the employers, in most cases, workers accessing critical data remotely, need security access. Enterprises that allow such flexible working environment to their workers, know the trends that are emerging as well as the advantages of allowing such enterprise mobility solutions. However, they are also aware of the importance of user access protocols aimed at protecting critical data. Earlier, many enterprises adopted mobile device management solutions as the best way to manage the use of enterprise mobility services on the devices of their employees. This would involve denying their employees, access to certain functions of the devices including those that had no relation to the application that is being protected. Needless to say, it was not at all popular with the employees as it turned out to be too intrusive and even arbitrary. Thereafter, enterprises adopted mobile application management solutions that primarily focused on identity and access management of specific applications that needed to be protected. The application access management policies adopted by enterprises are largely based on acceptable usage policies that obtain the user’s or employee’s acceptance of the terms and conditions of using enterprise mobility solutions on their devices. Enterprises adopt different ways of implementing their security protocol on devices embedded with their mobility solutions. In some instances, they ensure access to the application’s code in order to be able to manage it while in other instances, they isolate the app/s to protect their data. With this kind of security systems and protocol, enterprises are not just able to manage and optimize use and access of their critical applications but also simplify it for their employees.